If Medicare and Medicaid confuse you, welcome to bureaucracy. The programs puzzle most everyone and unless you're a long-term care expert, understanding the differences is like trying to see through a mud puddle. Even today, I admit to being a bit lost when reading all the parts that make up the insurance plans. And since they create a lot of mystery and confusion for many Americans, I'll make an attempt to clearly address them and try to make some sense of it all. Hopefully, we'll both gain a better understanding. Medicare and Medicaid are government-sponsored. Each intended to help cover healthcare expenses. Since the names are so similar, people confuse the two and how they work, the coverages they offer, and the eligibility requirements. Basically, Medicare is health care insurance for persons over 65 and those living with certain disabilities. Medicaid is a joint federal and state program that helps cover medical costs for individuals with limited income and resources. The funds to run both programs come from taxpayers. A federal program that is available regardless of income. Part A: Hospitalization coverage for inpatient care in hospitals, skilled nursing facility care, Hospice care, and home health care. You wouldn't pay a monthly premium for Part A if you or a spouse paid Medicare taxes while working. Part B: Medical and health insurance that pays for physician services and other health care providers. It also covers outpatient care, home health care, durable medical equipment, and some preventive services. You pay the standard monthly Part B premium out-of-pocket. Part C: It is a private supplemental insurance that provides additional services. Contains all benefits and services covered under Parts A and B and a Medicare prescription drug coverage (Part D) as part of the plan. Medicare Advantage programs are run by private insurance companies. Covers the cost of prescription drugs and run by private insurance companies. It's designed to lower prescription drug costs and protect against higher future costs. Only Medigap counts as "Medicare supplemental insurance" but Medicare Advantage plans give few extra benefits that supplements Medicare. When deciding to buy a Medigap policy or enroll in a Medicare Advantage plan, read the details of each. Pick the plan that best suits your needs and budget. Medicare has online programs to help you make these comparisons at Medicare.gov. Note: For more information, visit socialsecurity.gov, call Social Security at 1-800-772-1213, or contact your local State Medical Assistance (Medicaid) office.Next week, I will continue the topic and address, "What is Medicaid?" Next week, I will continue the topic and address, "What is Medicaid?" 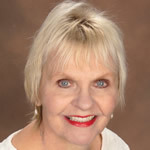 Carol Marak, Aging Advocate, and Editor of SeniorCare.com, the creator of the Aging Matters weekly column: Her background is family caregiving. Carol's mother lived with chronic illnesses, and her father lived with Alzheimer's disease. As a family, they faced many elder care obstacles. She offers anyone an open invitation to dialog at Carol@SeniorCare.com.